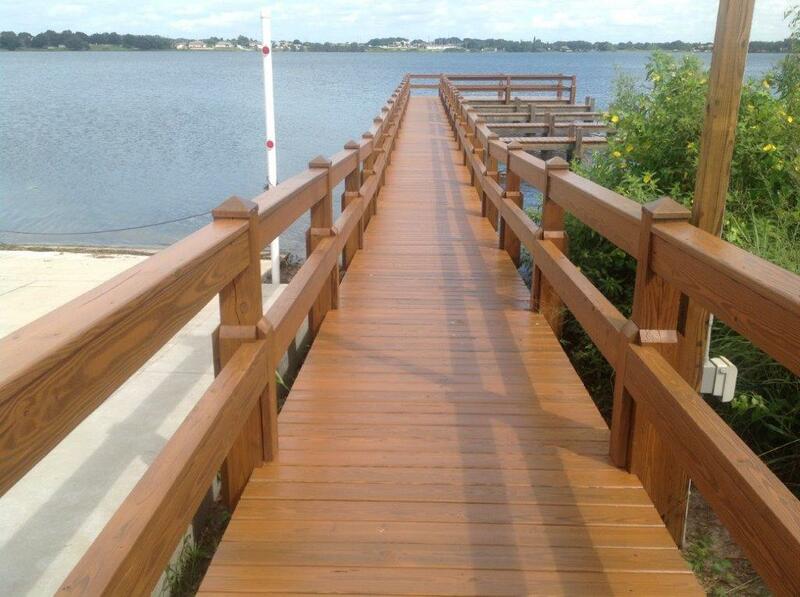 This marina project that we built for the General Contractor, Welbro Constructors of Orlando, FL was for the City of Winter Haven. 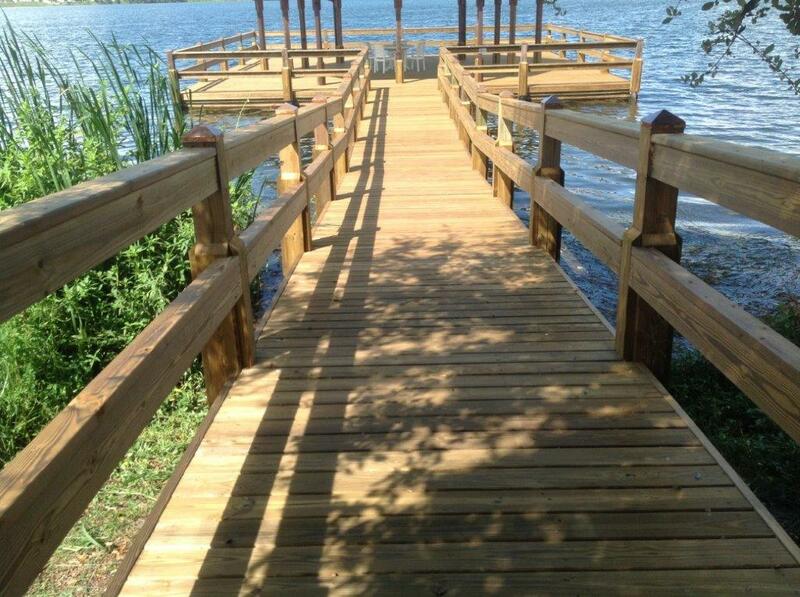 The floating dock and gangway project was at a lakefront park called Lake Eva with an existing concrete boat ramp. 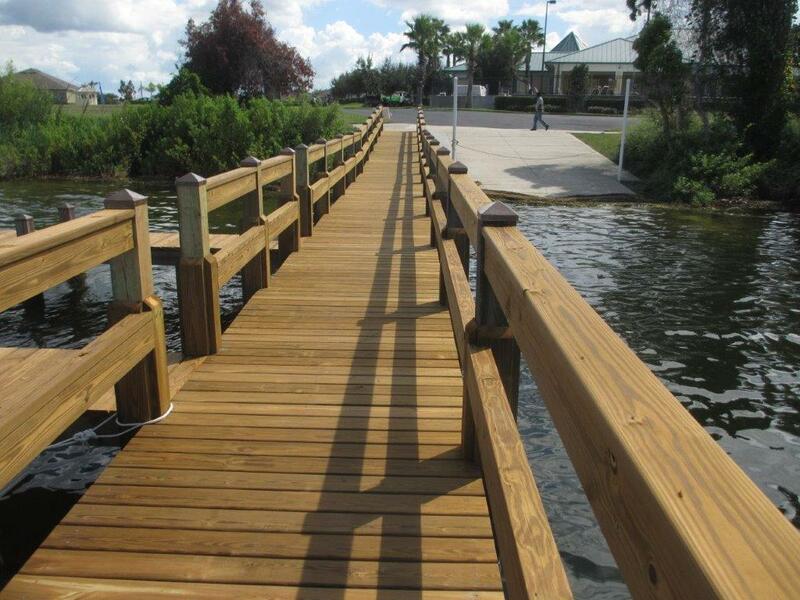 Our work was as a design/build contractor to build the fixed dock, the aluminum gangway and the al-aluminum floating dock. Fender Marine Construction drove the round wood pile for the fixed upland aluminum dock and the mooring pile for the aluminum floating dock and marina. Then the Fender Marine crews set the aluminum dock sections on the upland wood pile along with the aluminum picket guardrail. Next, the Fender Marine Construction team floated the aluminum floating dock sections into Lake Eva and attached them together, installed pile guides as well as the aluminum picket guardrail. Lastly, we brought in the mobile crane to set the all-aluminum gangway with picket guardrail and ADA compliant grab rails connecting the fixed aluminum dock to the aluminum floating dock and marina. All environmental permitting was procured and closed out leaving us with a very satisfied customer.